After creating a wedding dress for Kate Middleton, the wife of the British Prince William, Sarah Burton has received universal acclaim. The British Harper’s Bazaar magazine has awarded Sarah Burton with the honorary title of the “Designer of the Year” at the ceremony of Women of the Year Awards where the most outstanding women have gathered. The only man to receive the award at the Women of the Year Awards ceremony was the American designer Tom Ford – as the “Best Man in the World of Women”. 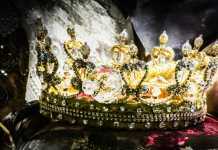 And the honorary title of the “Fashion Icon of the Year” has gone to a big number of stars of fashion business, including Naomi Campbell, Helena Christensen, Eva Herzigova, Yasmin Le Bon, and Cindy Crawford. 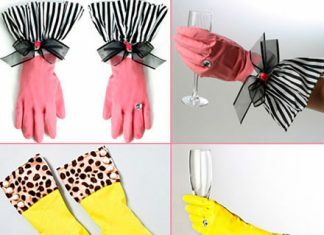 Bow Rubber Gloves, Stylish or Bad Taste?